Sooner or later we all find ourselves at the range waiting on a hot suppressor to cool down. The Armageddon Gear Hot Pocket provides a place to put your hot suppressor to prevent damage to your range bag or gun case. 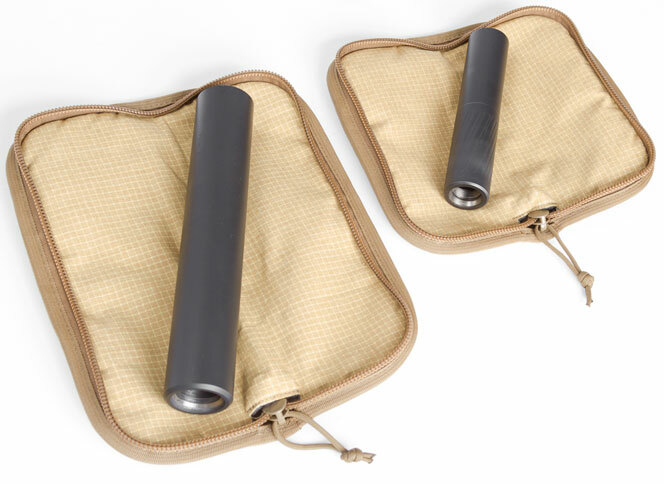 Lined with a cutting-edge thermal-control material, the Hot Pocket ensures that your hot suppressor won't melt your rifle case, range bag, or the seat covers in your truck. You can even use the Hot Pocket to provide a measure of protection while you remove your suppressor. Available in two sizes; 7.5" model fits cans up to 8" in length and 10" model fits suppressors up to 10.5" in length. As always, the Hot Pocket is proudly made in the USA of Milspec materials and features the Armageddon Gear Lifetime Warranty.